Luscious Lips Live! contest: Entry #15 - Divassence! Definitely one of the best purchases I’ve made on makeup. 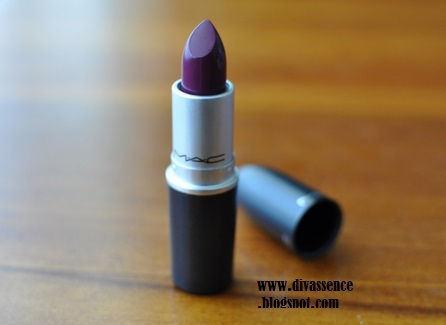 This lipstick looks beautiful on my pale skin (NC 20). The intensity doesn’t matter,it will look amazing either way. I will definitely repurchase it when I finish it, as it is my go to red (even though it’s not red). Depending on the light, it looks more purple, or more pink here, but it’s gorgeous either way. It’s pretty comfortable, even on my poor dry lips, and it smells vanilla-y and sweet. P.S. : Make sure to moisturize and exfoliate your lips before using. You may also like reading: Divassence Go Gorgeous Giveaway Series! : Giveaway 1: Win a Maybelline Color Tattoo Eyeshadow and Baby Lips Lip Balm!